Chairman and Professor of Finance in the Leavey School of Business and Administration at Santa Clara University in Santa Clara (CA 95053). Assistant Professor of Finance at the same institution. 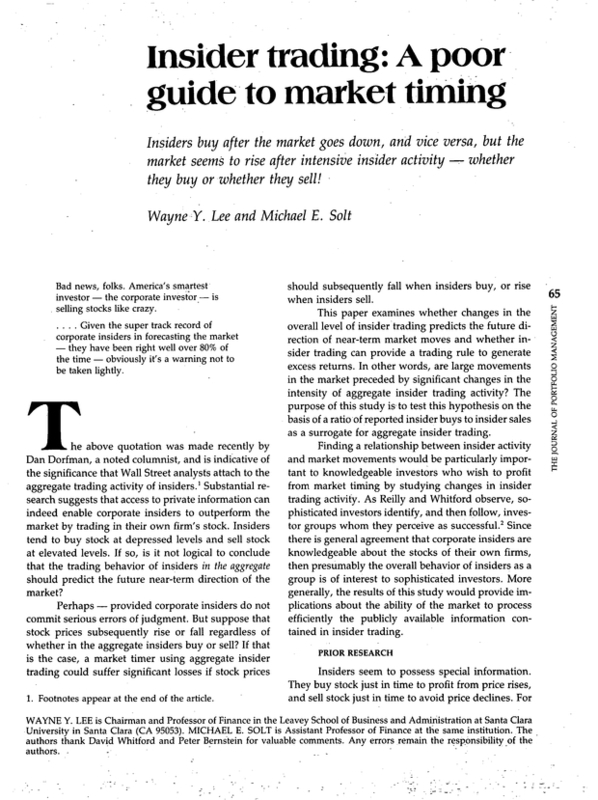 The authors thank David Whitford and Peter Bernstein for valuable comments. Any errors remain the responsibility of the authors.